Library of Congress. 1890 photochrom color. 1 photographic print : gelatin silver ; 10 x 61 in. Casa di Cornelio Ruffo, Pompei / G. Sommer, Napoli. 1 photographic print. 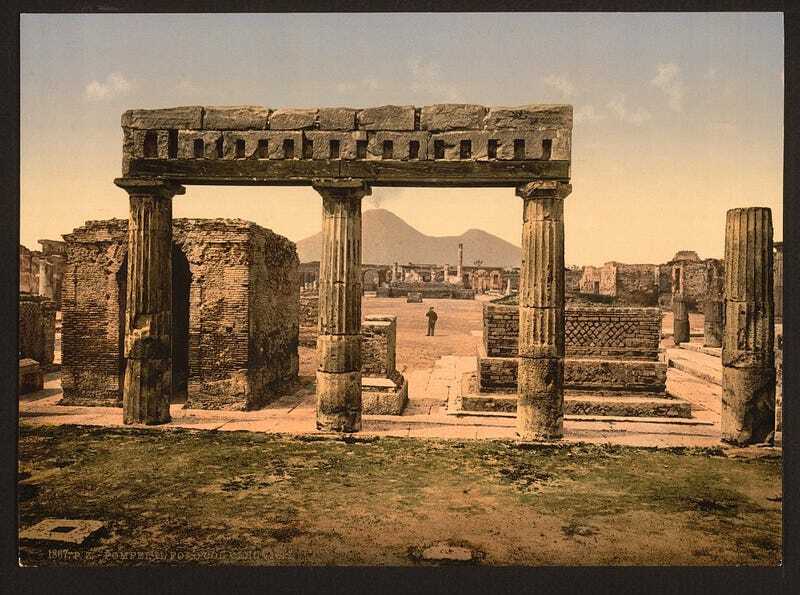 | Photograph shows the ruins of the casa di Cornelio Ruffo at Pompeii. Pompei - domus Vettiorum, figura volenta, pittura murale / IR ; edizioni Brogi. 1 photographic print. | Photograph shows painting of angel in flight, holding scepter, at Pompeii. Pompei / Giac. Lenghi dis. ; Giac. Lenghi Editore Prop.